For further information on Illinois marijuana laws – including penalties for distribution and cultivation – click here (take note that the laws for distribution are incredibly harsh, with the sale of just 5 pounds resulting in a potential 20 year prison sentence). 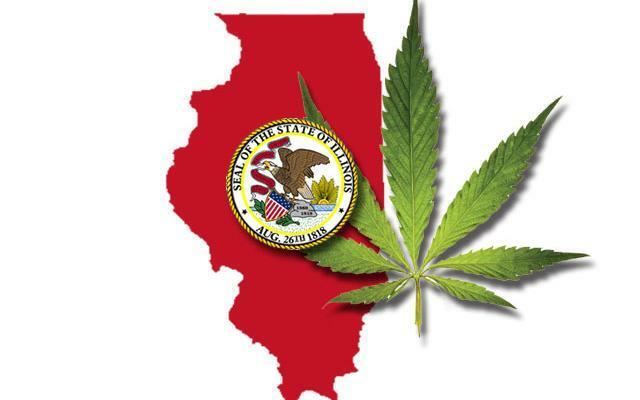 For recent updates to Illinois marijuana possession laws and other Illinois-related stories, click here. The post Illinois Marijuana Possession Laws appeared first on TheJointBlog. Penalty: Misdemeanor with up to 1 year in jail and a fine of up to $1,000. Over 3 ounces, less than 1 pound. Penalty: Felony with up to 5 years in prison and a fine of up to $10,000. 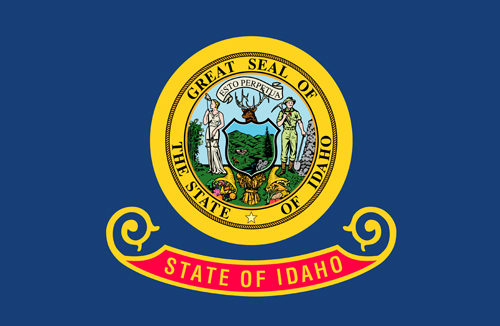 For recent updates to Idaho’s marijuana possession laws and other Idaho-related stories, click here. The post Idaho Marijuana Possession Laws appeared first on TheJointBlog. In exactly 100 days – on November 8th – the 2016 general election will take place, and voters in six states will have the opportunity to legalize cannabis for everyone 21 and older; voters in two additional states will be given the ability to legalize medical cannabis. Question 2 would legalize the possession of up to an ounce of cannabis, as well as the personal cultivation of up to six cannabis plants, for those 21 and older. Cannabis retail outlets – supplied by licensed cultivation centers – would also be legalized. (This is all similar to the other state’s initiatives). Polling from just a few days ago shows that 50% of voters in the state support legalization, with 41% opposed. Under Missouri’s proposed initiative, the medical use of cannabis would be legal for those with a variety of conditions – such as cancer, epilepsy, PTSD and migraines – given they receive a recommendation from a physician. Patients would be allowed to possess at least up to six ounces of cannabis (more if suggest by a physician), and cultivate up to six cannabis plants. The measure would also legalize state-licensed cannabis cultivation centers and dispensaries. According to polling released in May, 55% of Maine voters are likely to vote “Yes”. Recent polling shows that 60% of California voters support legalizing cannabis, indicating that the measure is in good position to be approved this November. Question 4, The Regulation and Taxation of Marijuana Act, permits adults to possess (up to ten ounces) and to cultivate (up to six plants) personal use quantities of cannabis and establishes licensing for its commercial production and retail sale. Commercial for-profit sales of cannabis will be subject to taxation, while non-commercial exchanges of marijuana will not be taxed. If passed into law, Initiative 5 would legalize the possession of up to an ounce of cannabis, and the personal cultivation of up to six cannabis plants, for those 21 and older. State-sanctioned cannabis cultivation centers and retail outlets would also be legalized. In 2014 United for Care’s initiative to legalize medical cannabis received over 50% of the vote, but failed to become law as it required 60% (being a constitutional amendment). The group made some slight tweaks to the measure, and have once again placed it on the ballot, but this time with more solid polling numbers. The initiative would legalize the use and state-licensed distribution of medical cannabis for those with a wide range of medical ailments. According to polling released this month, 77% of Florida voters support the measure, which has been titled Amendment 2. Arkansas’ initiative – put forth by Arkansas for Compassionate Care -would allow doctors to recommend medical cannabis to patients with certain debilitating or life-threatening medical conditions such as cancer, HIV/AIDS, hepatitis C, Crohn’s disease, post-traumatic stress disorder Alzheimer’s disease, llupus, autism, and Parkinson’s disease. Patients would be allowed to possess up to 2.5 ounces, and up to 38 dispensaries would be allowed to operate in the state supplying patients with a means of safe access to their medicine. Patients who live 20 or more miles from a dispensary would be authorized to cultivate up to five mature cannabis plants and five seedlings. According to polling conducted by Talk Business & Politics/Hendrix College/Impact Management Group – released in September – 84% of voters in Arkansas support legalizing medical cannabis. If you live in any of these eight states, please vote! If you can’t (or even if you can) – spread the word! The post 100 Days Until 5 States Vote on Legalizing Cannabis, 3 on Legalizing Medical Cannabis appeared first on TheJointBlog. One of the issues being hotly debated among veterinarians today is the benefit and usage of hemp. Its protein, Omega 3 and Omega 6 properties have drawn attention for its potential use as a dietary supplement. To begin the discussion, we need to explore the understanding of hemp as a plant. Hemp is a different variety of the same plant species cannabis that has been used for years in the United States. George Washington and Thomas Jefferson grew hemp. In the 17th and 18th centuries, it was actually illegal for individuals to refuse to grow hemp in America. And in 1941, Henry Ford built a plastic car comprised of hemp materials. It is a fun fact that hemp can produce bio-fuel and ethanol better than corn. The U.S. government does not recognize the differences between industrial hemp and marijuana. Cultivation has been prohibited since 1950. A recent change in federal law will now allow for colleges and universities to grow hemp for research. That means that after 50 years on hold, America can get on track to once again become the predominant manufacturer of hemp. Hemp is the only plant in the world that is a complete protein. Hemp plants mature in four months, while it would take 20 years for trees. It would take four times as many trees to produce fiber pulp from hemp. Hemp is rarely affected by pests or diseases. Plastics made from hemp are biodegradable.The oil contained inside the hemp seed is 80 to 90 percent unsaturated fatty acid. Hemp contains about 0.3 to 1.5 percent of tetrahydrocannabinoids (THC), a chemical that is in marijuana. Because of this low level of THC, hemp is considered non-narcotic. Hemp plants are grown like bamboo, to be about 10 to 15 feet high. The stalks and seeds are used for textiles, food, paper, body care products, plastics, and building materials. It is a fact that hemp was used in the construction of the great pyramids, as well as sails and rope. Hemp seed oil has the perfect ratio of Omega 6 to Omega 3 fatty acids. Without the potential side effects of fish oil, such as heartburn, bad breath, loose stools, and rashes, hemp oil helps moisturize dogs’ skin and fur. With its high content in Omega 6 fatty acid called gamma linolenic acid (GLA), hemp oil can help reduce the risks of cancer, diabetes, and skin allergies. The British Journal of Cancer has reported that THC in hemp seed has been found to stop brain and lung cancer. The GLA found in hemp seed also reduces arthritis symptoms and joint pain. Within a month or two, Arizona researchers will accept applications for a small number of veterans who have post-traumatic stress disorder to participate in a study in north Phoenix on medical marijuana’s effects on the disorder. The study is federally approved by the Food and Drug Administration and licensed by the Drug Enforcement Administration. It will study 38 veterans in Phoenix and another 38 at Johns Hopkins University in Baltimore. It is the first time the DEA and FDA have approved randomized, controlled research intended to develop the actual plant, not oils or synthetics, into a prescription drug to treat PTSD. If the study shows marijuana is a successful treatment, the ultimate goal is to get FDA approval for marijuana plants to be prescribed to anyone with PTSD, said Brad Burge, director of communications for study sponsor Multidisciplinary Association for Psychedelic Studies. Among veterans, 30 percent from the Vietnam War have or had PTSD in their lifetimes; 12 percent from the Gulf War have it in a given year; and between 11 and 20 percent from the Iraq and Afghanistan wars have it, according to estimates from the U.S. Department of Veterans Affairs. The study was first approved in 2014 but stalled after the University of Arizona fired Dr. Sue Sisley, the primary researcher. She believes she was let go for political reasons after she clashed with state lawmakers over medical-marijuana research. She is now a principal investigator for this study and will be treating all Phoenix patients. When she left UA, many veterans worried that she would take the study to Colorado, since it was the Colorado Department of Public Health and Environment that granted $2.156 million to MAPS for the study. The study is seeking veterans who have chronic, treatment-resistant PTSD, meaning they have tried medication or psychotherapy at some point and not responded to it. Applicants should be healthy and without disabling medical problems, Sisley said. They must be able to visit Deer Valley once or more per week for 12 weeks. If veterans want to relocate from out of state for 12 weeks, that should be fine, she said. She said she is not yet authorized to disclose the exact location. All veterans will be enrolled and participate in staggered groups within two years of the start date. They will receive compensation, but she is not approved to say how much. Veterans interested in applying should email arizona@marijuanasites.org. The approval requires that researchers buy marijuana for the study from the National Institute of Drug Abuse. Purchasing has been a long process, but once they receive the drug they can begin screening and enrolling veterans for the study. Once veterans are enrolled, researchers will teach them how to smoke using the Fulton Puff Procedure, a common method that consists of a long inhale and holding it in before exhaling. They will have to smoke twice under observation at the lab, to make sure they don’t have any adverse reactions, and then be sent home with a pipe and enough marijuana to last a week. Once home, veterans have up to 1.8 grams, or about two joints, per day to smoke whenever they want. They must journal about their experience, wear a watch to monitor the quality of their sleep, and return to the lab once a week. They will smoke one variety of marijuana for three weeks, then be cut off for two weeks to see if they have symptoms of withdrawal or relapse. Then they will repeat the process once more with a different kind of marijuana. The total process lasts 12 weeks, with six months of follow-up through phone calls or meetings. Veterans will be randomly assigned to try two of four kinds of marijuana: one with high tetrahydrocannabinol (THC), one with high cannabidiol (CBD), one with an equal ratio of the two, and one placebo. The types have nothing to do with indica or sativa, the two most common marijuana strains. It’s a popular distinction among marijuana users. “A lot of people still use that nomenclature, but we try to avoid it. I think the movement in general is trying to move away from it because it’s not really a scientific way of describing a clinical experience,” Sisley said. The main complaint from veterans interested in the study is that NIDA’s marijuana is low in both THC and CBD compared with what is available at dispensaries across the country, Sisley said. NIDA defines high THC or CBD is above 10 percent, but many dispensaries offer strains above 20 or 30 percent. “A lot of veterans are arguing this study is sabotaged from the beginning because we’re not letting them access cannabis they normally would,” she said. It is the only legal option available for now. Sisley said she knows many veterans, firefighters and police officers who use marijuana successfully to manage a variety of medical conditions, but this study will help collect objective data on whether it actually works. “Right now, all we have is a mountain of anecdotal evidence, but until it’s put through the rigors of a randomized, controlled trial, then I can’t make any judgment on it,” she said. The post Federally Approved Medical Marijuana Study Seeking Arizona Veterans appeared first on TheJointBlog.